I was in Singapore for a day on my way from Taiwan to Vietnam. I wanted to see it, and the plane stopped there anyway. Plus my luggage was there, being held hostage by JetStar. A bit of history on Singapore. Originally a sleepy fishing village off the coast of modern Maylasia, Singapore was a British colony up until 1963, when it became part of Maylasia. Two years later, Singapore gained full independence from Malaysia and formed the Republic of Singapore, one of the smallest countries in the world and one of the few actual city-states. Since independence, Singapore became a significant financial trading and manufacturing center, one of Asia's 4 Tigers along with Taiwan, Hong Kong and South Korea. These fully-fledged market-based economies stood in stark contrast to the many communist conflicts that emerged in this corner of the world during their rise. As Austin Powers said, "Yeah, Capitalism!" Today Singapore is the 4th largest center of foreign exchange center in the world. As a result, despite its small size, Singapore is the world's 18th wealthiest nation, and the population has the highest productivity rate per capita on the globe. Singapore's wealth and affluence are readily apparent. 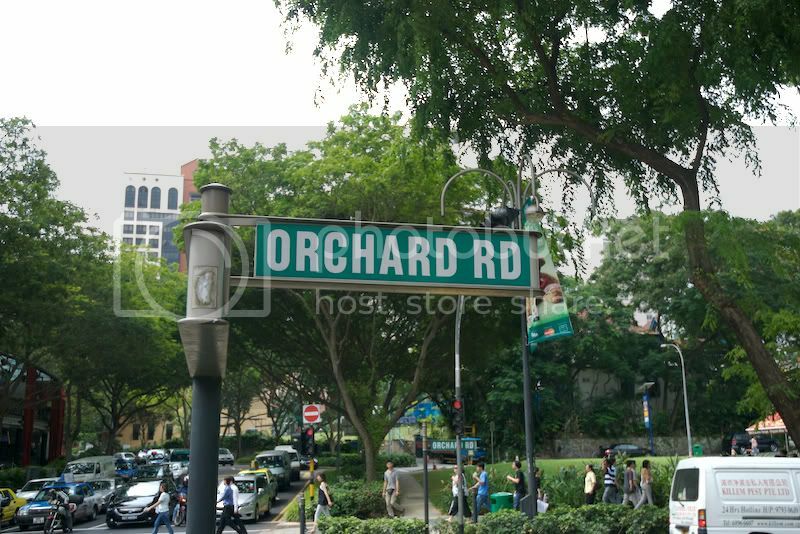 Shopping is all centered around Orchard Road, the "5th Avenue of Singapore." By now I've seen about a dozen, dozen Louis Vuitton boutiques so I wasn't terribly impressed. Gap fans should note there are two very impressive Gap stores on Orchard road, with a Banana Republic opening shortly (franchised locations). The food in Singapore is an amalgamation of Asian cooking. Probably the most distinctly Sinaporean cuisine is chili crab, which is mainstay of many restaurants here. I'm famously adverse to seafood, but I would have to admit its pretty good. Hainanese chicken and rice can also be found everywhere, but that's not necessarily a Singapore or Malaysian creation. Its very popular here - and quite good. The famously clean and orderly city was just that - immaculate and on schedule. It was quite nice acutally, but not notable as a tourist destination. What struck me immediately were all the trees. The city...or country...is essentially a large park within which a bustling and vibrant city has been built. They are doing some interesting things, like the Clarke Quay area, a fabricated colonial-style "village" full of bars, restaurants and nightclubs. That was a good time. Stayed at the Pump House brewery until 4:30 AM, just in time for a quick shower at the Four Seasons and off to the airport (its more of a night club really, but they do make their own beer which is quite good). Many of the more famous clubs are only open on weekends so perhaps another time. Overall, I was impressed, but not blown away. I can't say I would recommend this as a destination of choice. Its sort of like Kansas - nice place to live, but I wouldn't want to visit there. Singapore is mostly known for its ban on chewing gum, fines for not flushing the toilet, caning American teenage vandals and its signature airline. 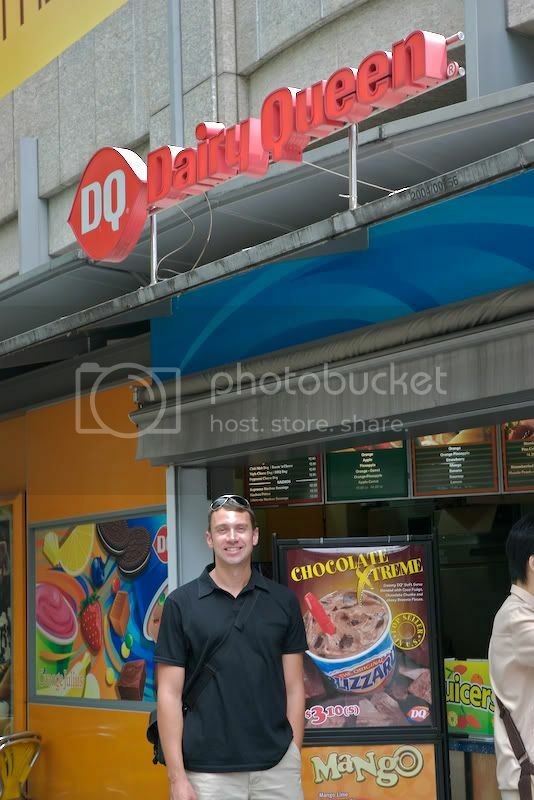 I didn't get to enjoy any of these notables, but they do have a Dairy Queen and for that Singapore will always hold a special place in my heart. Read more about Singapore Airlines' stellar record of great service.